Right now, there are young people in our communities dreaming of the future. At Altice USA, we provide support to this next generation of innovators, helping them acquire the skills to make their dreams of the future a reality. 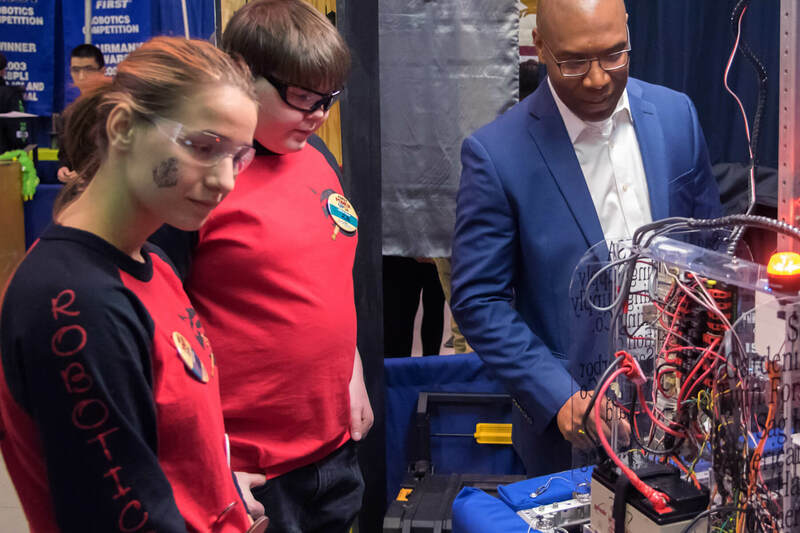 From sponsoring STEM conferences and robotics competitions across the country, to mentoring and hosting student innovation fairs and hackathons, to giving hands-on demonstrations of Altice USA’s technology in action, we are dedicated to driving future innovation through STEM education. Though we are committed to providing these opportunities year round, Altice USA also produces the Innovation Roadshow once a year. The Innovation Roadshow is a series of events that includes a hackathon for university and college students, a technology and booth tradeshow, and a STEM immersion day for middle and high school students in our local communities. See what more we do.